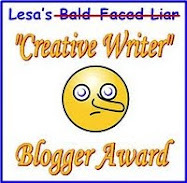 * * * * * * * * * * Welcome to Dru's Cozy Report: June 2014. This month we have three recently released new series for your reading pleasure. Enjoy! Not everyone is pleased with the bride-to-be’s choice of venue—like Cissy’s grandmother, who owns a competing establishment, La Belle Epoque, and has held a long-simmering grudge against Rose for stealing her beau sixty years ago. 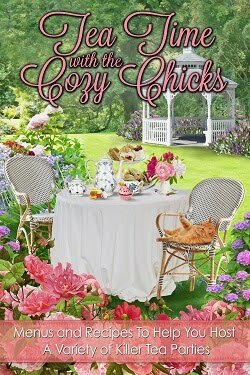 Tensions reach a boiling point when Cissy’s fiancé’s mother dies while sampling scones at La Belle Epoque. Now, to help her friend, Sophie will have to bag a killer before more of the guest list becomes a hit list. 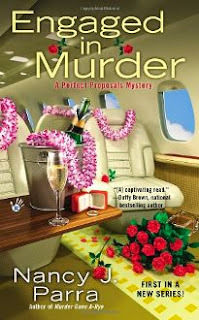 I enjoyed this nicely developed whodunit that had me quickly turning the pages as I had to know who was doing what to whom. The pace was very comfortable and I love how each chapter flowed into one another. The author did a good job with the mystery keeping me guessing throughout most of this story with plenty of suspects and there were a few surprising twists that I didn’t see coming. Sophie is very likable and I love that she’s come back; more different from when she left several years ago…the hint of what was back then as opposed to what is now was a recurring theme throughout this light drama. Boasting a diverse cast of secondary characters, who I can’t wait to know more about, I’m looking forward to the next book in this fresh new cozy series. Portland, Oregon, is the perfect fit for someone like Meg Reed. It's a city with a small town feel, where she can crash on the couch of her best friend Jill, now that she's graduated from journalism school. But a girl needs a job, so Meg bluffs her way into writing for Northwest Extreme magazine, passing herself off to editor-in-chief Greg Dixon as an outdoor adventure enthusiast. Never mind that Meg's idea of sport is climbing onto the couch without spilling her latte. So when she finds herself clawing to the top of Angel's Rest--a two-thousand-foot peak--to cover the latest challenge in a reality TV adventure show, she can't imagine feeling more terrified. Until she witnesses a body plummet off the side of the cliff. Now Meg has a murder to investigate. And if the climbing doesn't kill her, a murderer just might. This was a fun read that was hard to put down. Meg is my kind of girl and I love her tenacity when it comes to figuring out who the murderer was. The author did a great job in keeping me engaged in all facets of this wonderful book from the introduction of Meg, to the staging of the murder, to watching Meg dig for the clues and to that moment when I knew who the killer was. Meg is very likable and I love her sense of comfort and devil may care attitude. 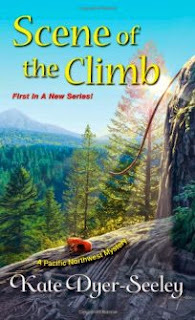 This was a terrific read and I can’t wait to see what adventure awaits Meg. 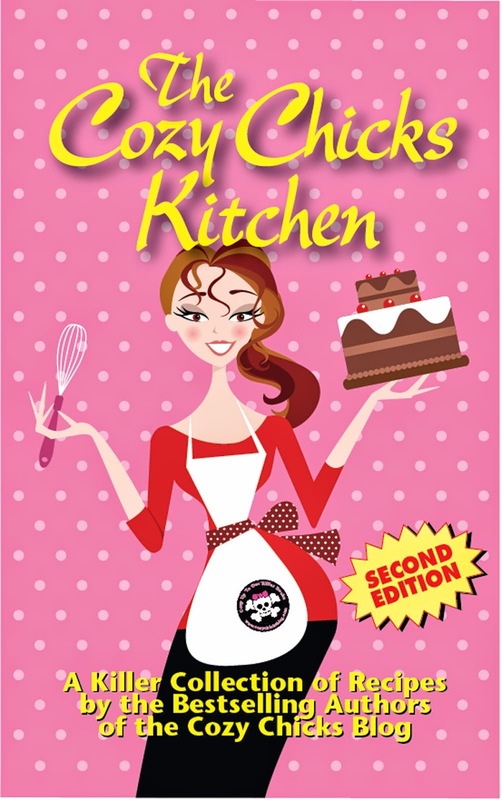 But before she can get her new business off the ground, there are some disturbing questions. Like who’s the dead guy Pepper finds in the ladies’ room of the jet hangar? Is it possible Felicity’s high-flying fiancé has been hiding more than the engagement ring? Pepper’s not married to the idea of having a criminal in the family, so in order to protect her sister, she takes off in pursuit of a killer. Being at the wrong place puts Pepper on the trail of a murderer when her sister’s fiancé is arrested. What follows is a wonderfully crafted light whodunit filled with a mystery that fueled my interest with every page that I turned. The pace was comfortable and the action was non-stop as our heroine took all opportunities possible to expose a killer. The author did a great job in setting this drama up with plenty of suspects and it was fun watching how it all played out. I like Pepper is and I hope we get to see more of her and her blossoming professional business and prospering relationship. This was a great debut novel that grabbed my attention immediately from the beginning and kept its hold even when I turned the last page. I can’t wait to see what exciting new adventures Pepper will take us on in the next book in this pleasantly appealing series. Engaged in Murder sounds great. Look forward to it. I love all the books reviewed here, but my budget is really tight so I have to be much more selective than I would choose to be. Would love to read all three! All three of these sound like fantastic new series! I am actually reading Tempest in a teapot right now, and I really enjoy it! These are wonderful choices, Dru, thanks for posting! All of them were delivered to my Kindle on their release day. I'm looking forward to some great summer reading!!! 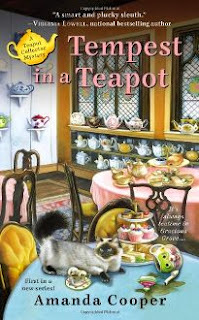 Tempest in a Teapot is on my TBR list and my copy of Engaged in Murder is on its way, but Scene of the Climb is new for me. Sounds like a good read, especially since Meg's idea of sport matches mine. Thanks for the reviews, Dru!